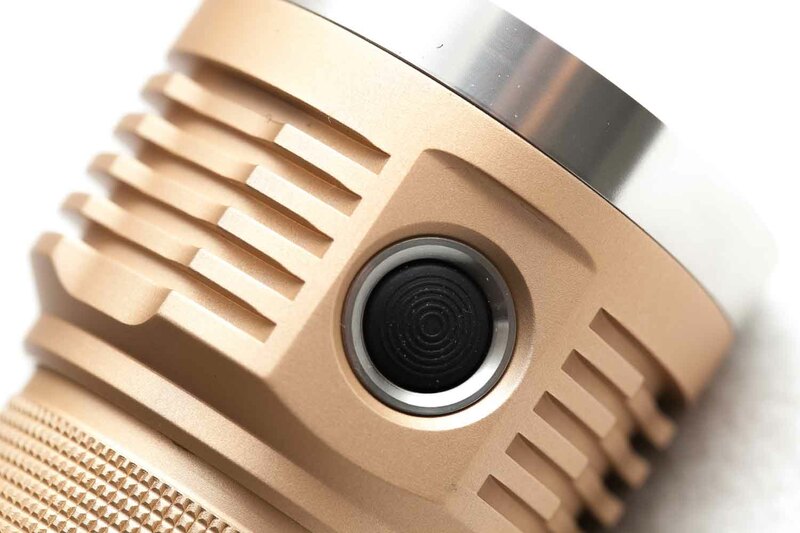 The Emisar D18 is available with a few different kind of LED configurations. 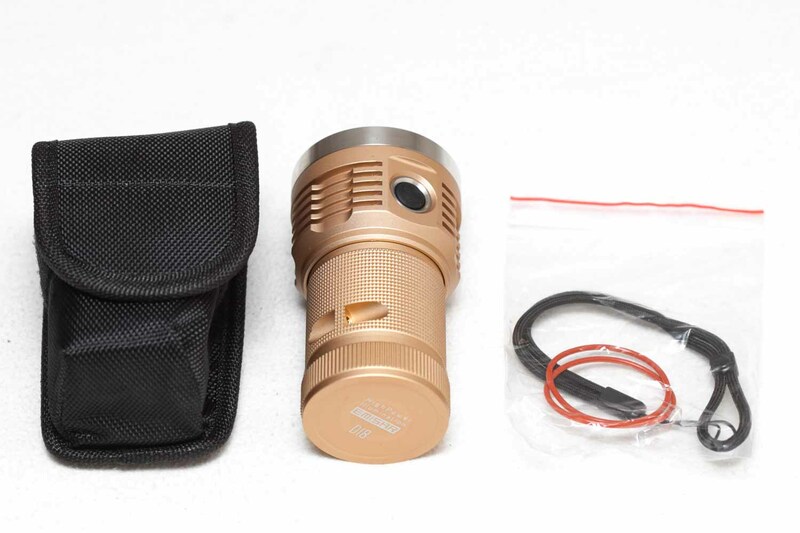 The one I got is the 4000K SST20 CRI95 and is supposed to be 10,000 Lumens. 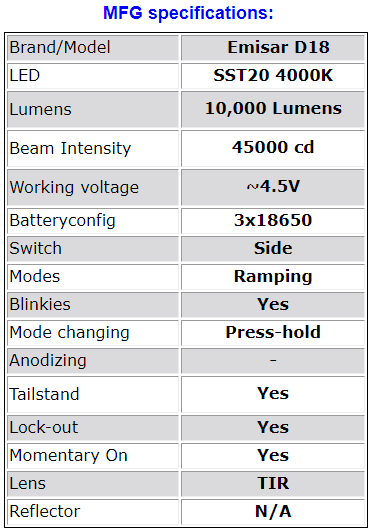 Hence the MFG specification list of the light showing 10,000 Lumens, while the heading of the page shows 14,000 Lumens. This is what the light is shown for, MAX Lumens. Since I wanted to try Hi CRI SST20 LEDs, mine is supposed to be 10,000 lumens instead of 14,000. Just so you understand. Hank at Intl-outdoor is a true flashoholic. 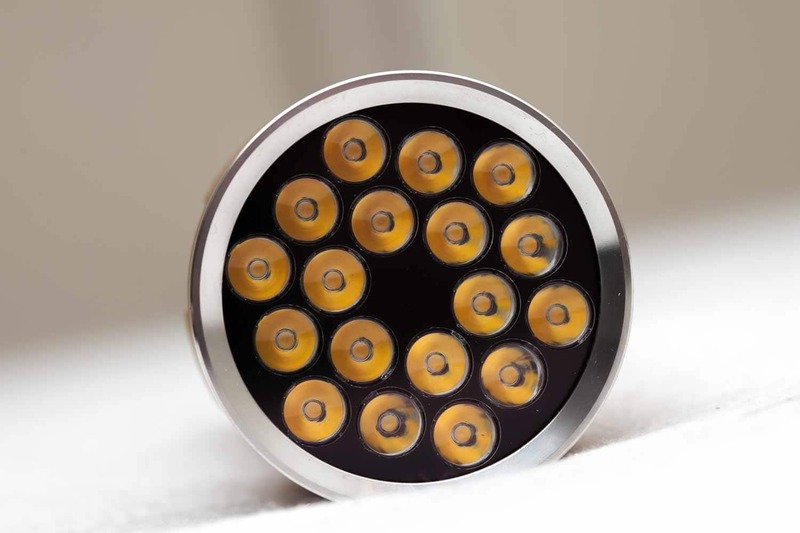 Big brands don't offer such a wide variety of LED choices and tints. Besides that, it uses firmware that was written by a flashoholic, so the distance between the manufacturer and user is very very close! Not many brands have such a close relationship! It's a shock. I didn't expect the D18 to be soo small. 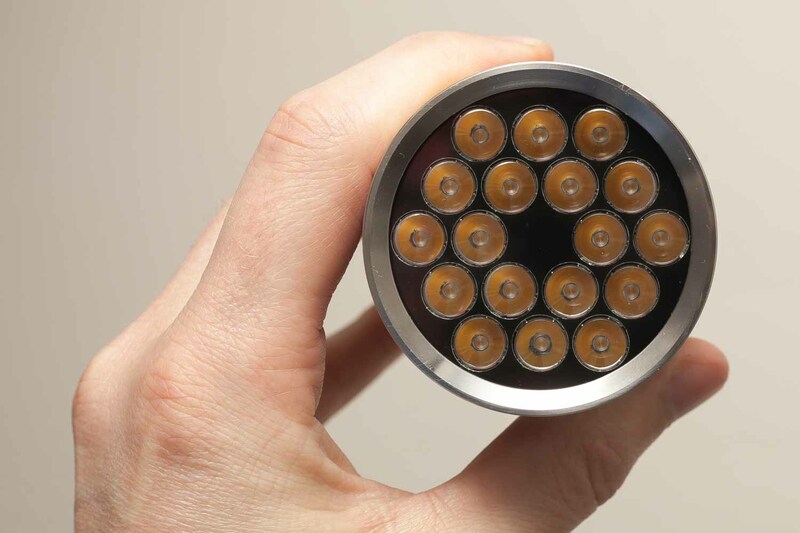 If you own the BLF Q8, you'll notice that this is a lot smaller... and brighter. If you have large pockets I wouldn't be surprised that the D18 would fit. 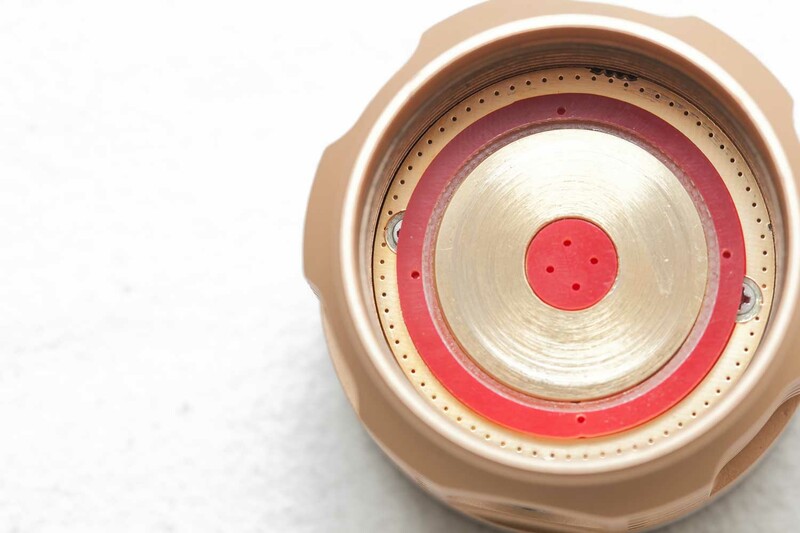 The switch is a little recessed so it is less likely to be activiated accidentally. 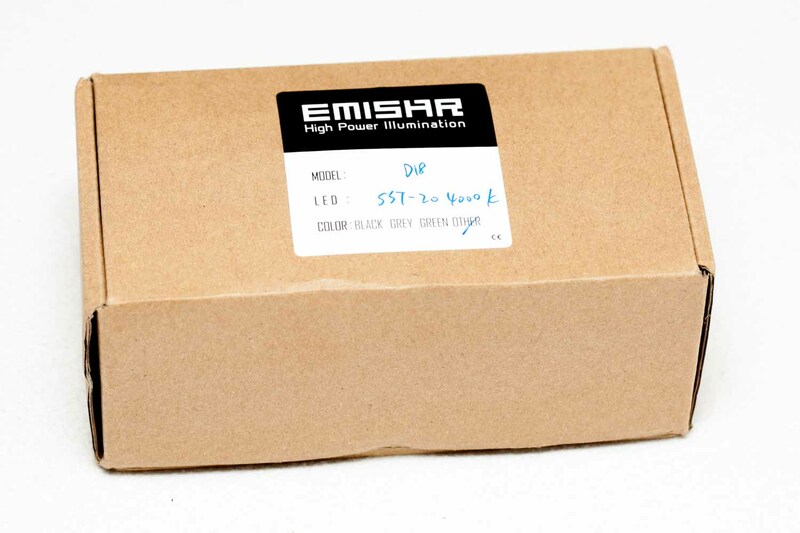 But it's still possible to do so, and that has been 1 major problem with the Emisar D1's and D4's. You should do a physical lokcout by unscrewing the body from the head, or do an electronic lockout by clicking the switch 4 times from Off. 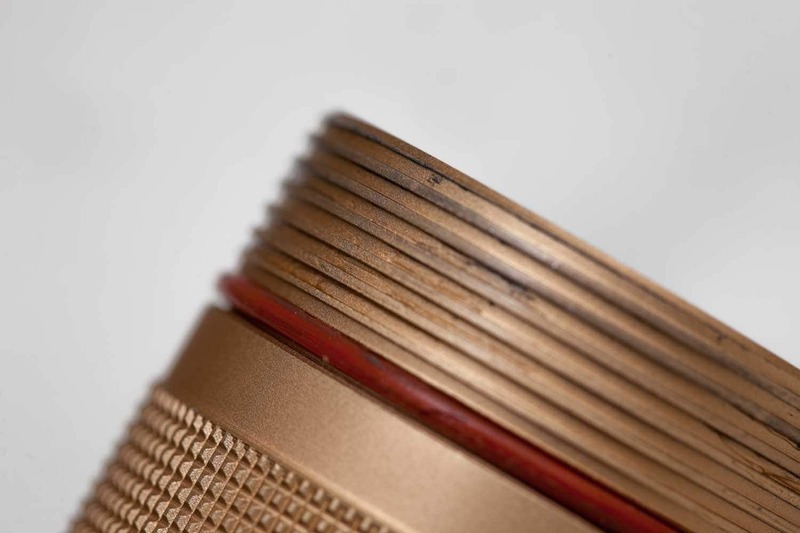 Fortunately the D18 has quite a bit of rought knurling on the body so it wouldnt easily slip out of your hands, and the carry strap can help here as well. 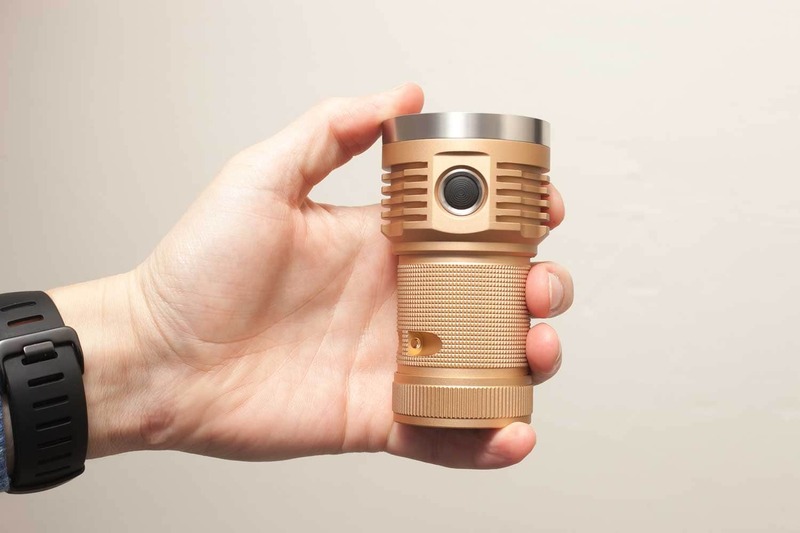 For $100 you'll get a beautiful little flashlight! I've tried to find something noteworthy, and the only thing I noticed is some machine marks in the lanyard attachment hole. Besides that, there is nothing bad to say about it. 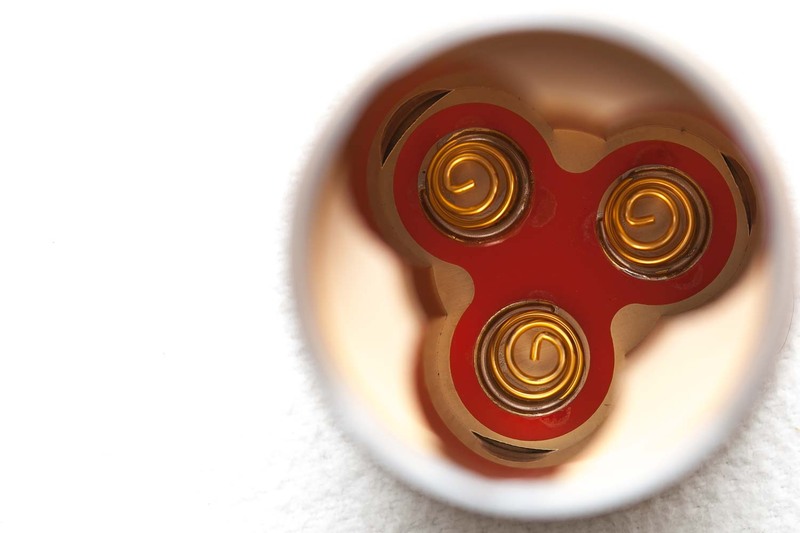 Anodization is done well, nothing to complain here either. I love my gold/sand colored version a lot. Since 95% of the professional flashlights are black, I sometimes choose a different color on purpose. And some manufacturers even have their own "color"... 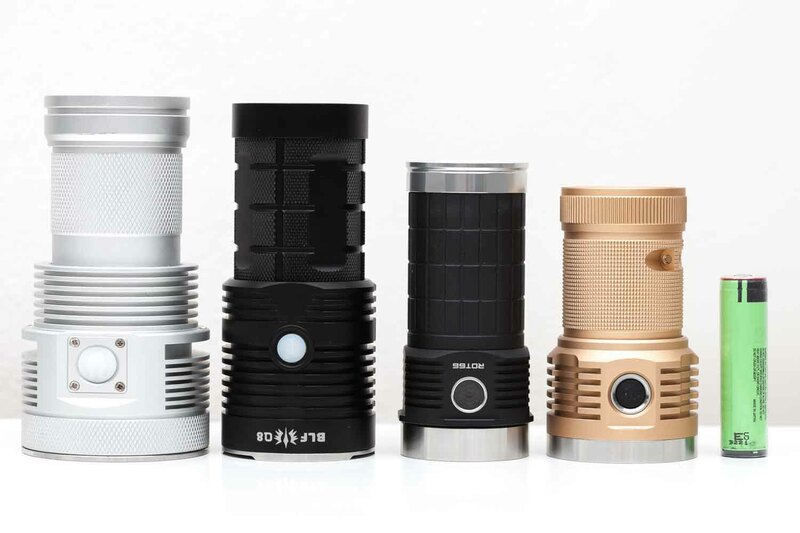 Think about Zebralight. The reason I choose the Luminous SST20 4000K version because that is my favorite spot. somewhere between 4000K and 5000K. Beside the temperature I choose this because of it's Hi CRI. (Color Rendering Index). The LEDs sit on a copper MCPCB below TIR optics in an interesting layout. . The bezel is silver, and I assume its made of stainless steel. No reflectors for this one. 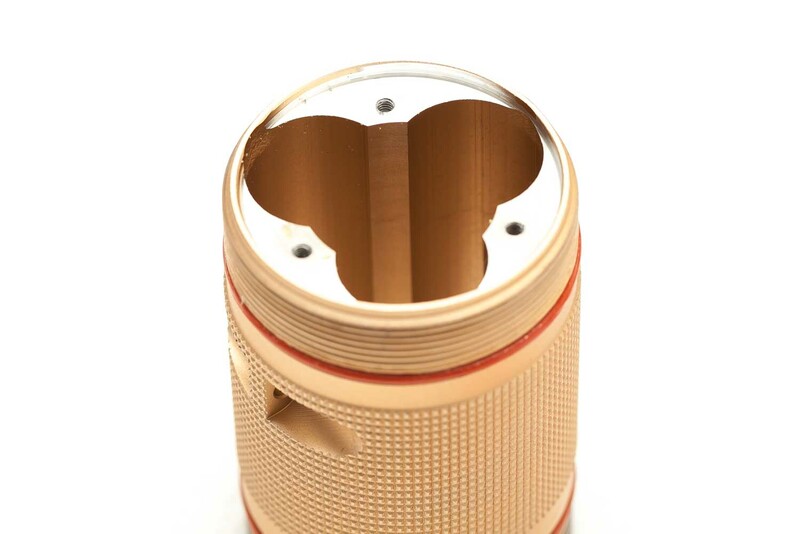 Length : 103mm / 4.0"
Head diameter: 58 mm / 2.28"
Width body : 46 mm / 1.8"
Weight: 343 gr / 11.4 oz. The Emisar D18 uses a firmware called Anduril. The code for the firmware was written by a Budgetlightforum member named Toykeeper. By default the Emisar D18 uses a smooth ramping mode. When the light ramps up, you'll notice a strange flicker about half way. 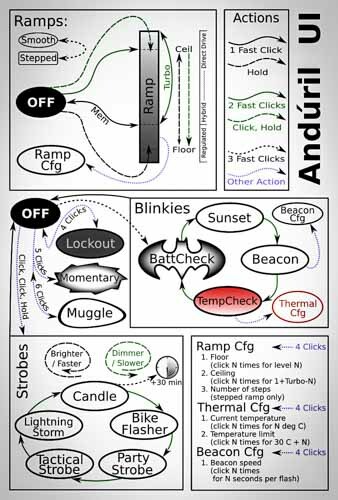 3 clicks: Access the blinky / utility modes. 3 clicks: change ramping mode.. Instead of a smooth increase it has 6 little steps between Lowest and Max. Press and hold: brightness ramps up.. release and press and hold again to ramp down. Read the full manual on how to access and customize these modes. Also see the firmware picture. 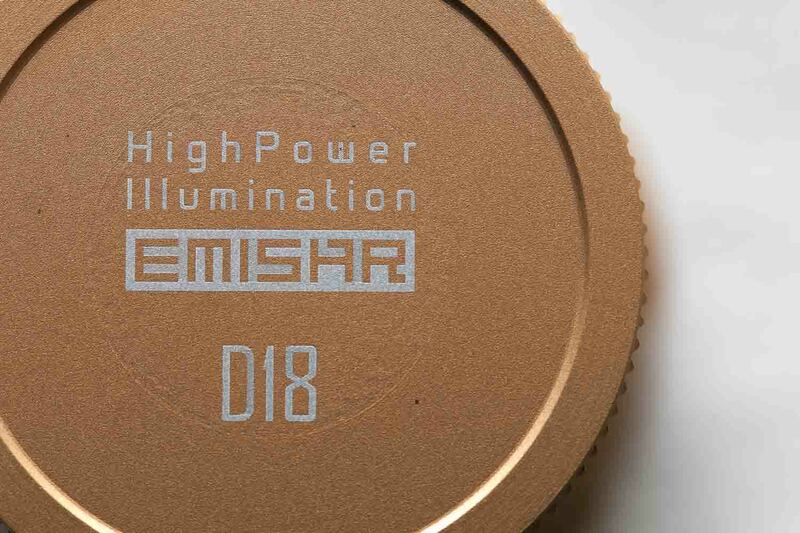 The D18 has a low voltage protection (LVP) and thermal regulation. LVP makes the light step down to a lower level when the battery is low, and if the light is already at the lowest level, it shuts itself off. This activates at 2.8V. LVP adjustments happen suddenly, in large steps. Thermal regulation attempts to keep the light from overheating, and otherwise adjusts output to stay as close as possible to the user-configured temperature limit. Thermal adjustments happen gradually, in steps so small they are difficult for humans to perceive. Instead of using 4*18650 lithium ion batteries, the Emisar D18 runs off 3 batteries. I would recommend using 1 set of batteries per light you own! When you buy a set of 4 batteries, do not switch them continuously between a light powered by 3 batteries and 4 batteries. The reason being, 1 of the batteries will get less use, and the set will be "out of sync". This could potentially be dangerous when you run the light down till the batteries are empty. 1 or more of the batteries will be discharged deeper than the other and therefore more prone to internal damage. If you do this too often, the battery's quality will decline even more rapidly every time you discharge it too far! Be cautious not to run your lights (powered by lithium ion batteries) down till it's dead. 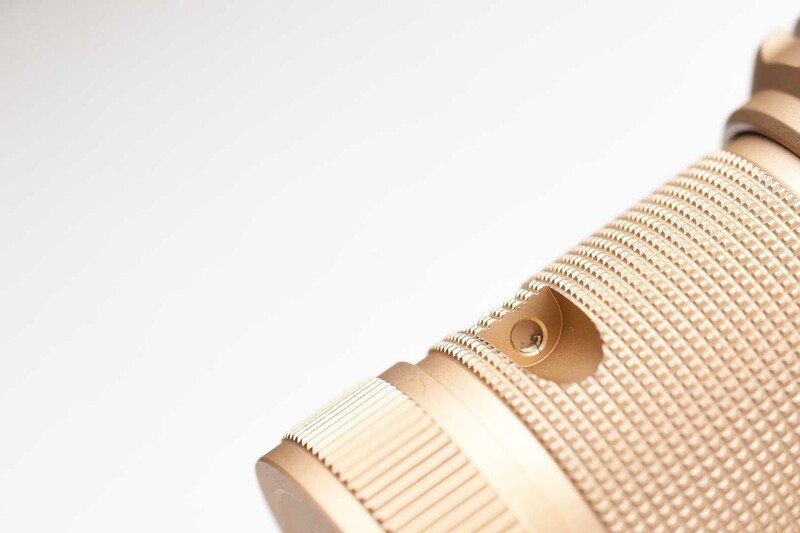 The D18 accepts button top Non Protected batteries only! 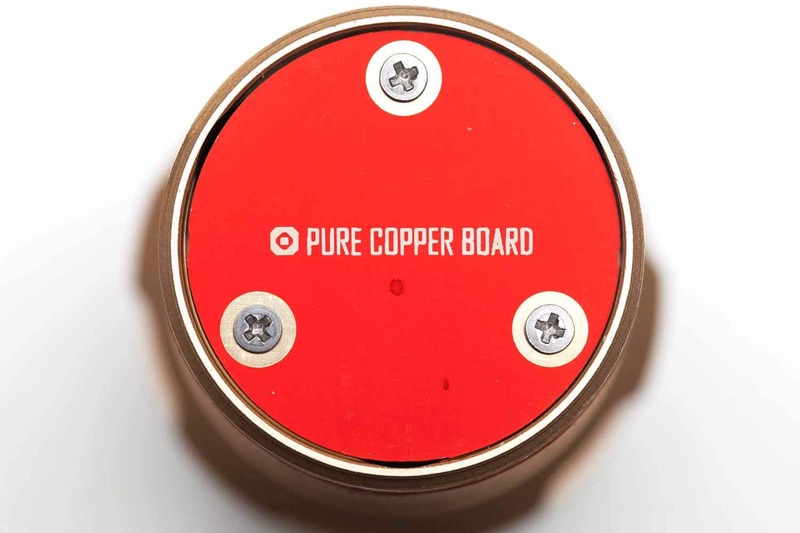 The driver contact board (for the batteries) has a physical protection built onto it. This is 1 way of reverse polarity protection! See the pictures. 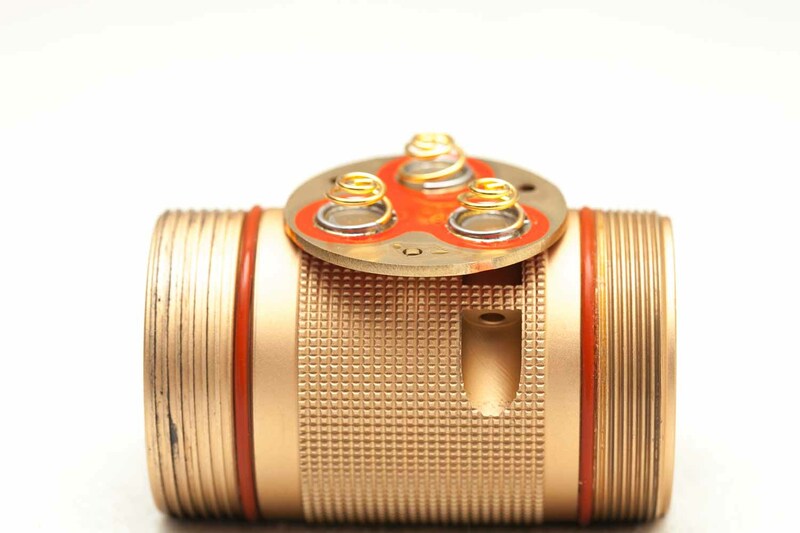 If you dont have button top batteries there are a few ways. Some are ideas from BLF members. 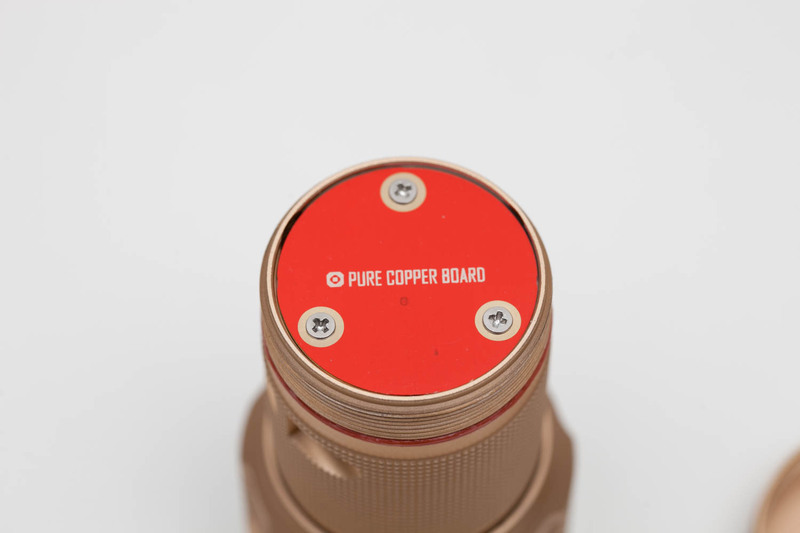 Not recommended: I unscrewed the copper contact board from the tailcap, inserted my Samsung 30Q Flat top Batteries with magnets attached to the positive contact, and screwed the driver board down. This is not easy since the springs are pretty stiff.. And it's extremely annoying to do. Especially if you realize you didn't charge the battteries yet.. LOL.. guess who found that out. My integraged Sphere only measures up till about 4000 Lumens without using any filters. For this test I used a Neutral Density filter from my Canon DSLR, and compared them with the numbers of my test without the filter... and they looked quite similar.. maybe 1-2% difference. Until I got up to 4,000 Lumens when the test without filter just stops. Since the numbers with filter and without the filter looked similar (after calculation), I measured all modes (not the smooth (stepless) ramping mode, but the stepped ramping mode (triple click from ON). Turbo in default ramping mode and "other ramping mode" are the same. So I measured about 7500 Lumens. Which is 2500 lower than claimed. I will check other reviews and see what numbers they get. I took off the negative contact board towards the tail and measured Amps with only 1 Samsung 30Q battery and got 5.5 Amps. Measured with solid copper wires on a Fluke 77III. I usually don't intend to do runtime tests with the powerful flashilght since they can actually damage (burn) the box I use for these tests. (It is just a cardboard box with some holes so I can see the light is still on). But I knew Turbo mode was only short, so I gave it a try. Runtime was done using Samsung 30Q batteries with magnets in order to make contact, and in default stepless ramping mode. After about 40 seconds the Emisar stepped down to about 2500 lumens, and from about 5 minutes onwards. At the mark of 168 minutes it dropped to 207 Lumens and I stopped the test at 179 minutes. So runtime for Emisar (in my opinion) is 170 minutes. There isn't really a low voltage warning, the list will just turn off. After I too the batteries out, they were at 2.85 Volts. So many features that you almost feel like you are left out if you don't utilize them. Accepts only high button top batteries. Protected batteries won't fit. 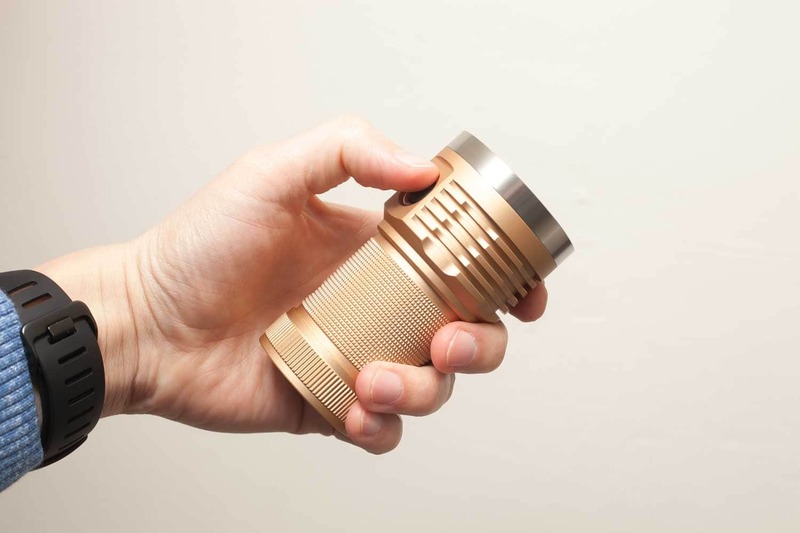 Imagine a flashlight for all circumstances... this one might be it. 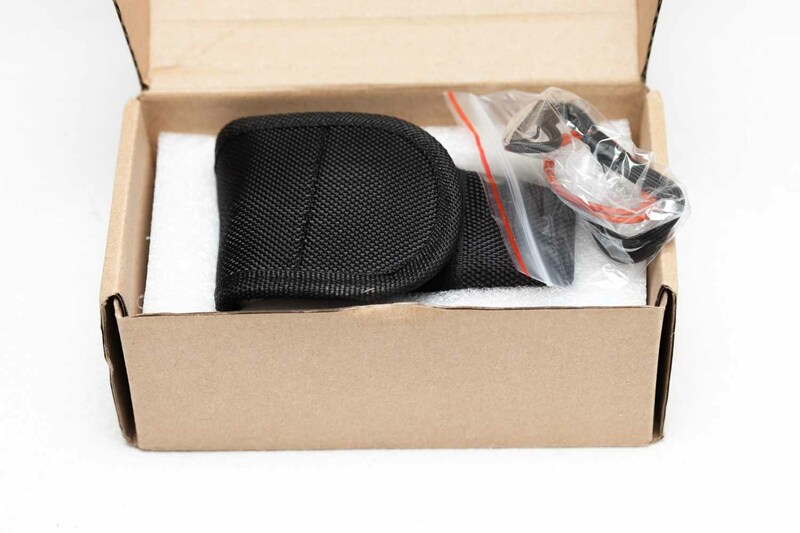 You can use it for your road bike, but also for camping or other outdoor activities. 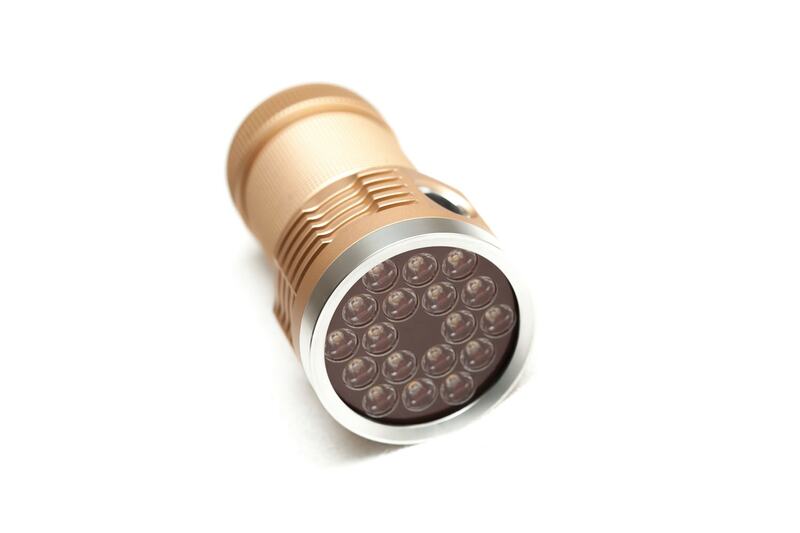 Very bright, measured 7500 Lumens with Hi CRI.